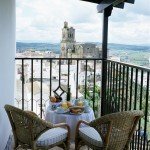 Descubra o charme da Andaluzia e visite Sevilha, Ronda, Córdoba e Granada. 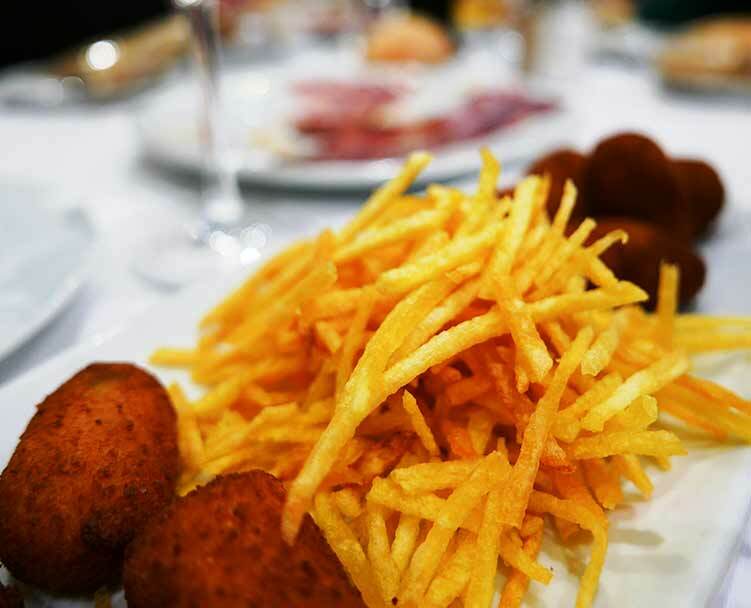 Veja as famosas “Aldeias Brancas” e descubra a cozinha Andaluza, famosa pelo seu “Jamón Serrano” (Presunto Ibérico) e tapas deliciosas. 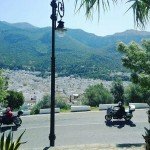 Desfrute do sol, conheça pessoas simpáticas e experimente a alegria de viver Andaluza. Uma boa dose de curvas esperam por si em Grazalema e nas Montanhas da Serra Nevada, onde vai percorrer asfalto perfeito desde as altas montanhas até ás costas do Mediterrâneo. 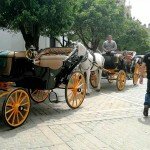 O nosso Tour do Sul de Espanha – Andaluzia está cheio de grandes dias de condução e é perfeito para aqueles com agendas ocupadas. 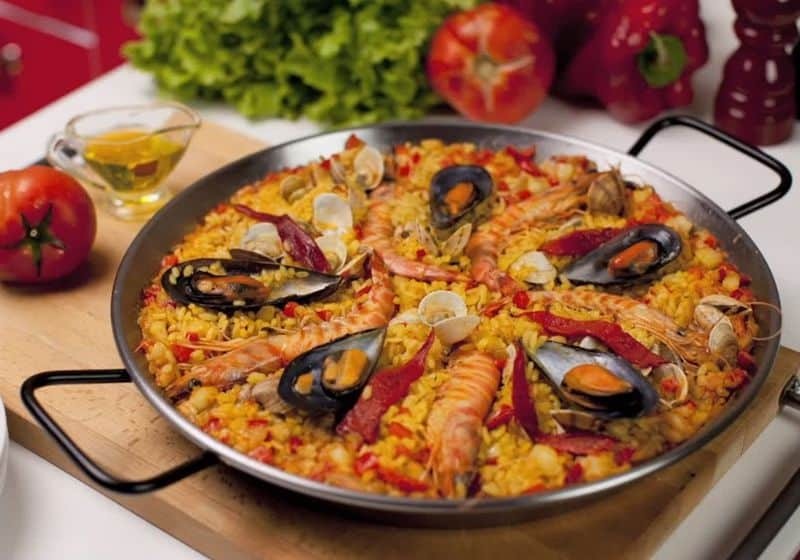 Você merece uma escapada Espanhola! Quilómetros Diários 250-350 kms / 160-220 milhas. 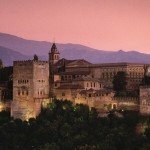 Destaques: Málaga, o Mar Mediterrâneo, o Palácio/Fortaleza de Alhambra, as montanhas da Serra Nevada y Sierra Morena, Ronda, Sevilha, Mequita de Córdoba, as Aldeias Brancas, a Serra de Cádis. 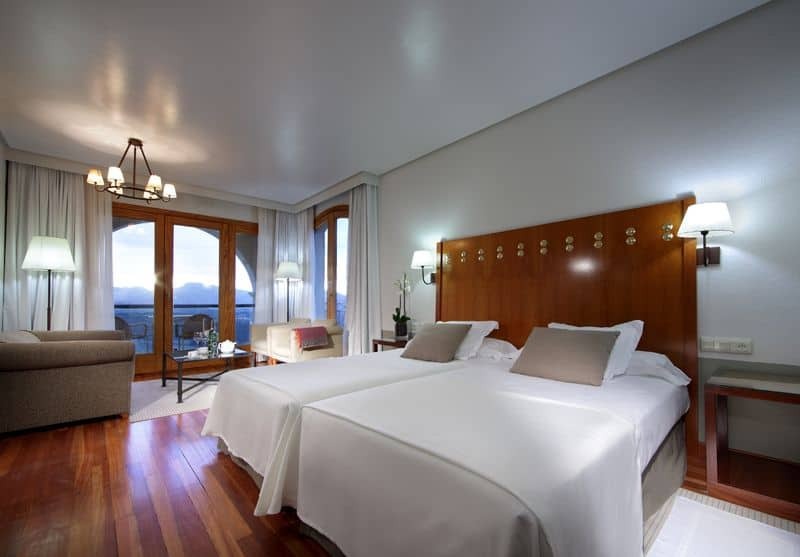 Alojamentos: Hotéis de alta qualidade. 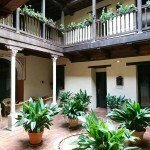 Usamos principalmente Pousadas históricas que são ex-palácios e castelos convertidos em alojamentos "motorcycle friendly". 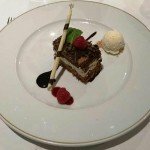 We had a fantastic time and I have to say I have travelled many places around the globe and have had many adventure trips where we have hired guided services and this experience has far exceeded any other experience for me. 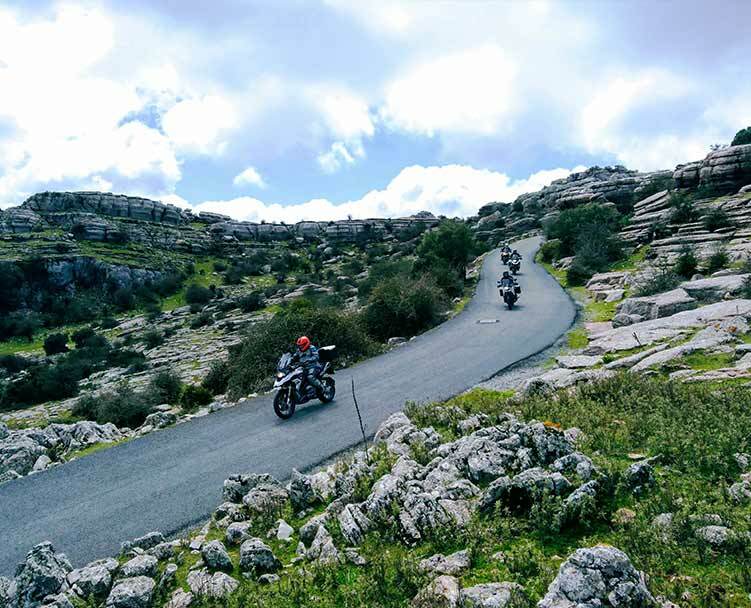 Martin and Javier were a perfect team and their enthusiasm and passion for the bikes, the roads, the country, the food and just overall experience for us made this a trip of a lifetime for everyone. I hope to see your team again maybe next year when I have more experience but their professionalism and care to my level made it possible for me to ride on this tour. I do feel like I gained a year of riding from this experience!! Just a short note to let you know how much our group enjoyed the tour you guys put together for us. 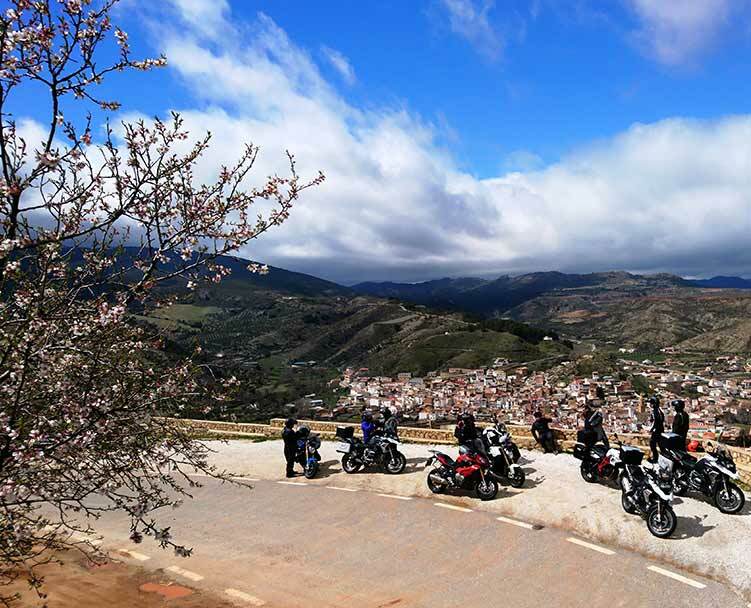 The bikes, the support, the accommodation , the roads and the scenery were all perfect. We could not have asked for more - It was certainly a fantastic holiday and ride. We were all particularly impressed with our guides: Chano and Javier. They were not just great guides, they were great people - Funny, entertaining, caring and so positive that it rubbed off on all of us and certainly made the overall experience better than we could ever have hoped for. Please pass our thanks onto the guys. We will certainly recommend IMTBike to others and hope to tour with you again in the future. This was our first experience on a professional tour with IMTBike. 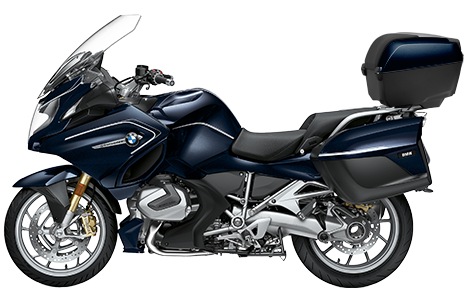 My husband and I rode two brand new R1200RT BMW motorcycles. 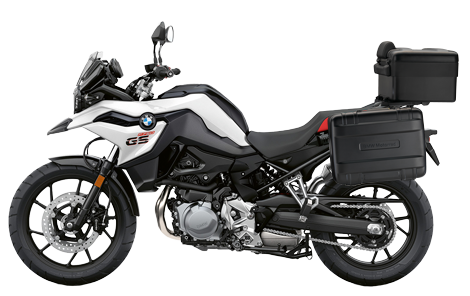 What a blast, Nice Bikes, now I want a new bike. 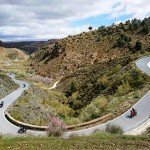 The roads in Spain are incredible roads to ride a bike on. 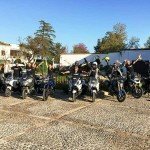 We had 10 bikes on our 8 day tour and our guides managed everybody perfectly. We enjoyed our trip so much we will be going on another real soon. Our guides Scott and Juan Pablo were the best! 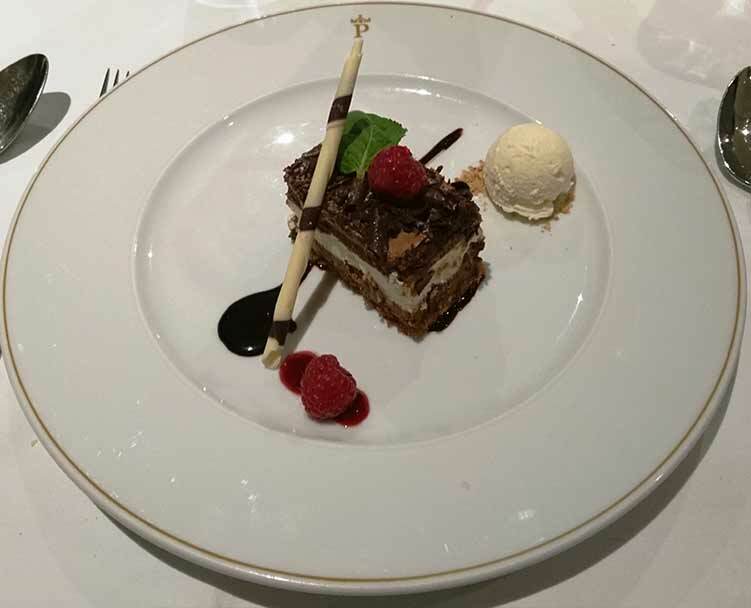 The hotels and foods were spectacular. IMTbike don’t change a thing!! This is a trip we will never forget!! Thank you!!!!! 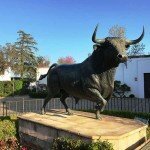 Andalucia Tour - Don't Change a Thing! 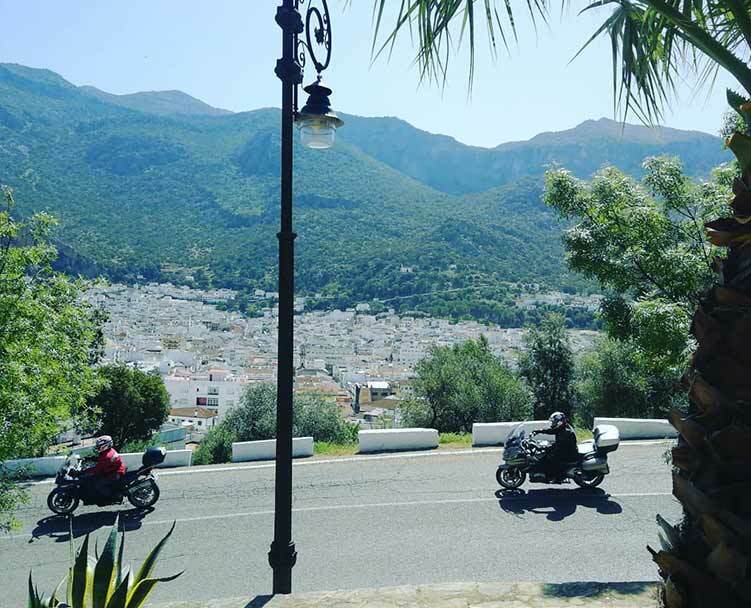 My husband and I had the extraordinary pleasure of riding through beautiful Andalucia with IMTBike. Though we’ve been riding for years, this was our first ride with a tour group, and it will not be our last. 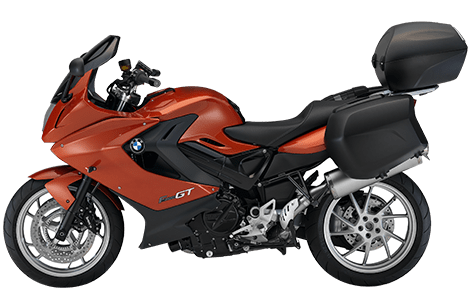 We will not shop for other tour companies; we are confident the fun-loving guides and extreme attention to detail of IMTBike cannot be beat. 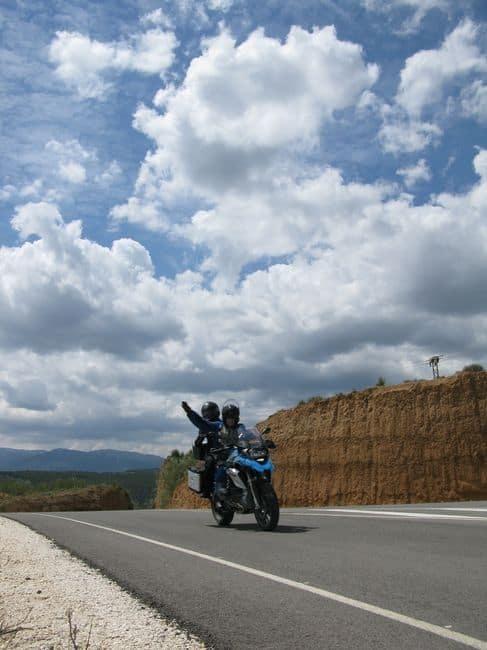 The roads were all spectacularly beautiful, a delightful blend of long, smooth, twisty and sweeping. 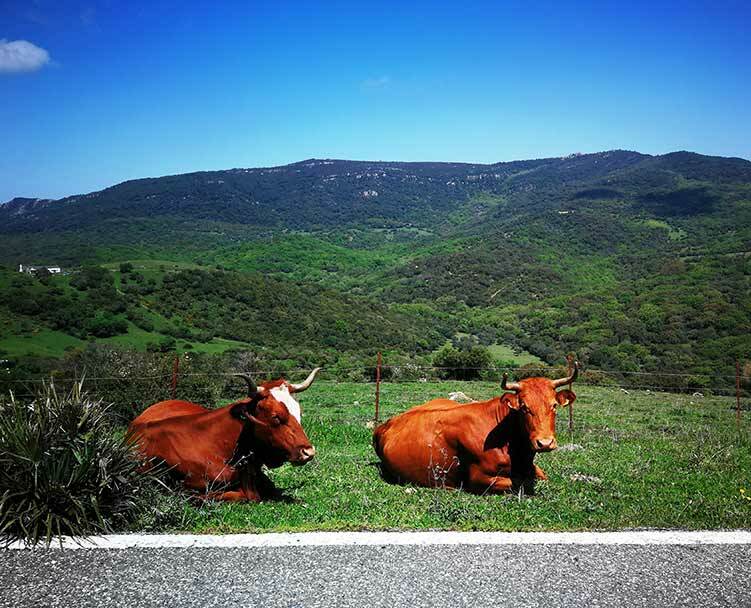 Our days of riding were filled with mountains, olive trees, cork forests, the Mediterranean Sea and the unforgettable Goat Road. 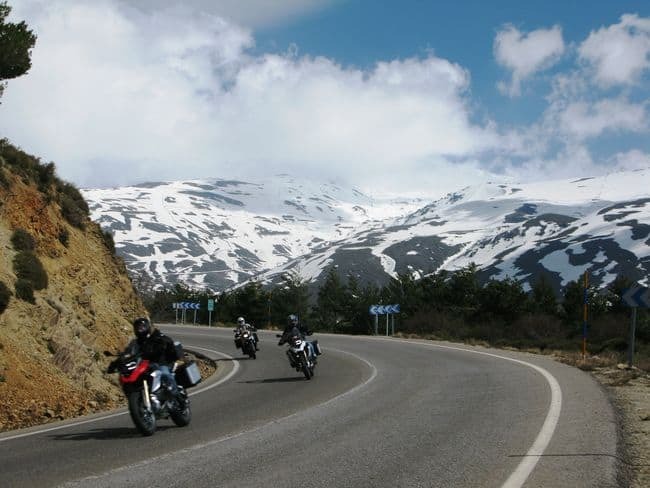 We never tired of the scenery, nor of our riding companions. 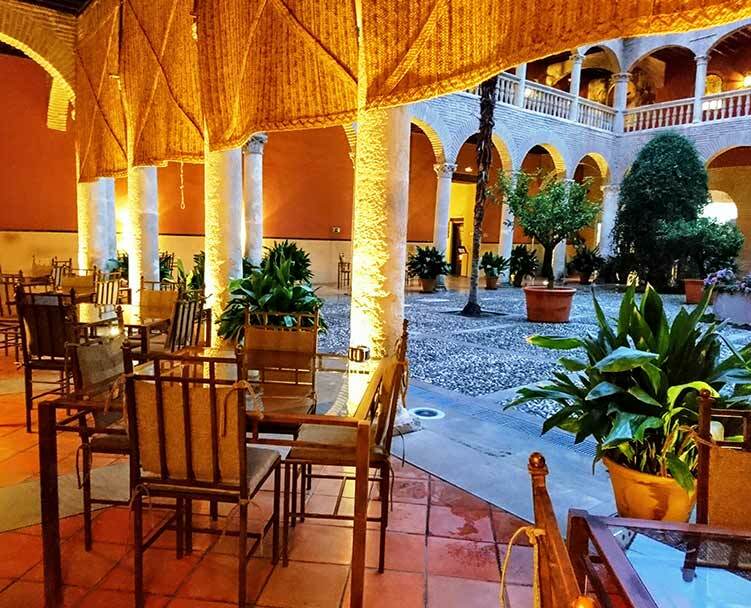 When we were not riding, we stayed at the most beautiful Parador Hotels you can imagine, and each day brought new culinary delights. 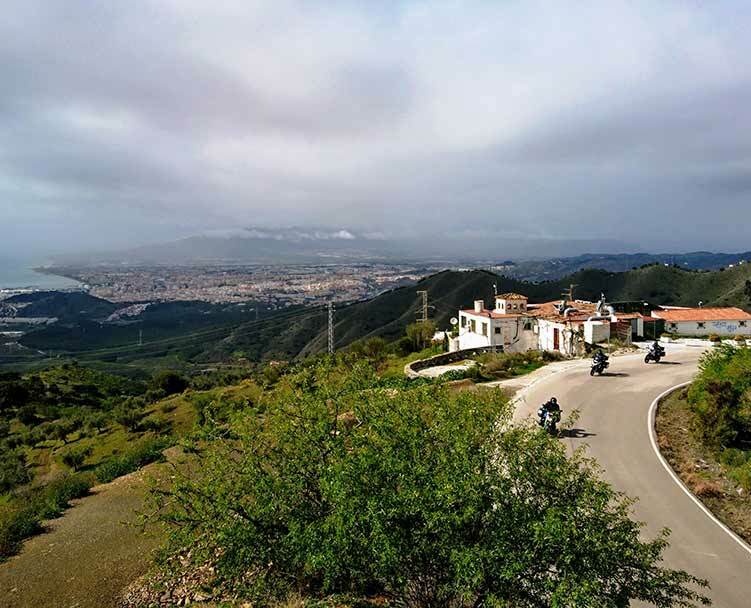 There was plenty of time to explore on our own, and though we could have ridden by ourselves at any time, we enjoyed the company of our fellow riders so much we preferred to hang together. We ate in bodegas on side streets where the owners always hugged or glad-handed our guide Scott, and walked up twisting alleys to find very cool places that we never would have found on our own. We would not have eaten so well had Scott not interpreted endlessly for us when we had so many unbelievable choices for food. Each day was an adventure, we were Never disappointed, and we will remember this trip forever. Hats off to IMTBike, Scott, and Juan Pablo, for providing the best of all things to do and see in Andalucia in the amount of time we had. Nobody does it better, and nobody could be more grateful and appreciative than my husband and me. Thanks for everything Scott and JP. You rock. I did not want to go. My wife made me, she bought the tickets and told me she was going without me if I decided to stay at work. Boy, did I ever marry a smart women! 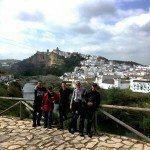 My time in Spain, on the tour and with the group and guides was one of the best weeks of my life. 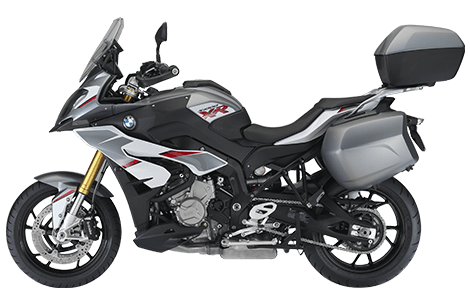 The folks from IMTBike knew the answer to every question we asked all week. They could not have been more helpful and the roads/route were second to none. 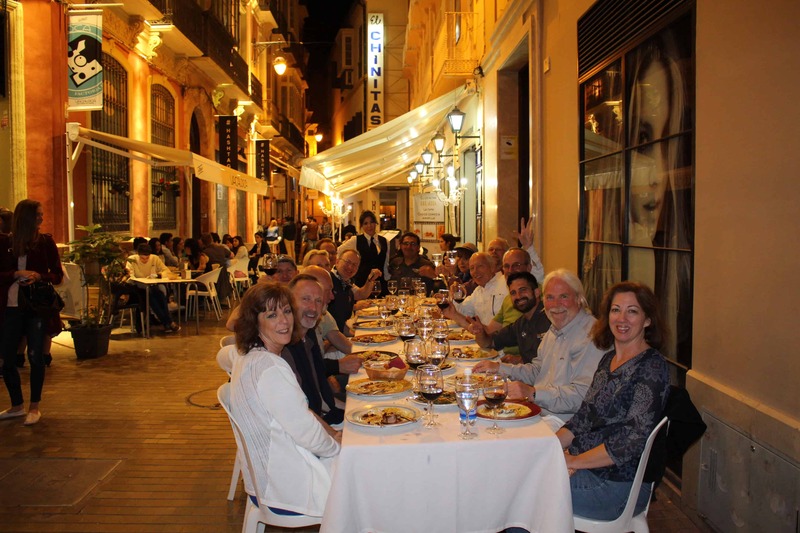 The food and lodging were first class and I really enjoyed both tour leaders, Scott and Juan-Pablo. 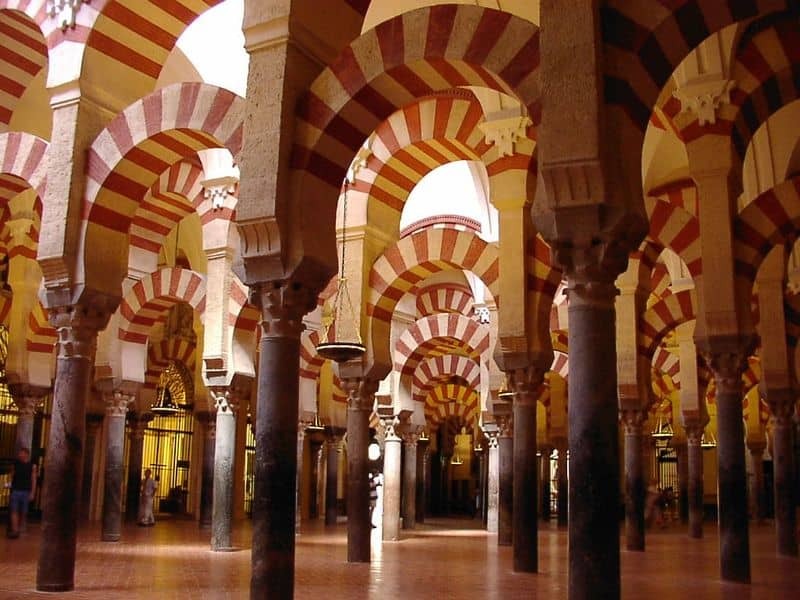 We are going to Morocco with IMT in a little over a year and this time I will be more than willing to get on the plane! 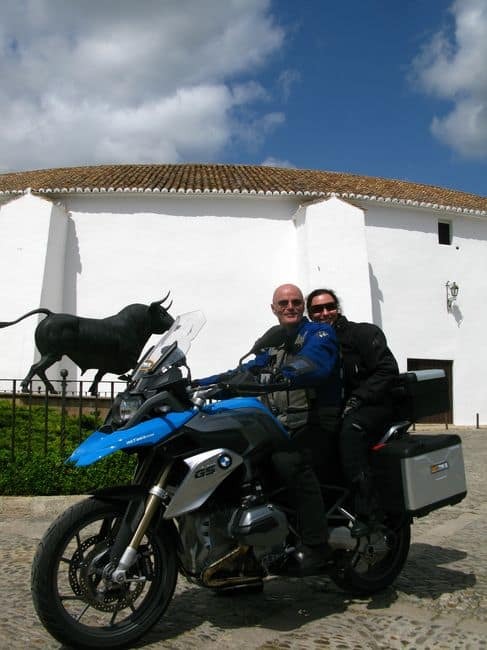 Andalucia Tour - My wife is Smart! The IMTBike staff were absolutely great in helping tour members prepare for a fabulous tour. The lodging and meals were first rate and the roads were fantastic! 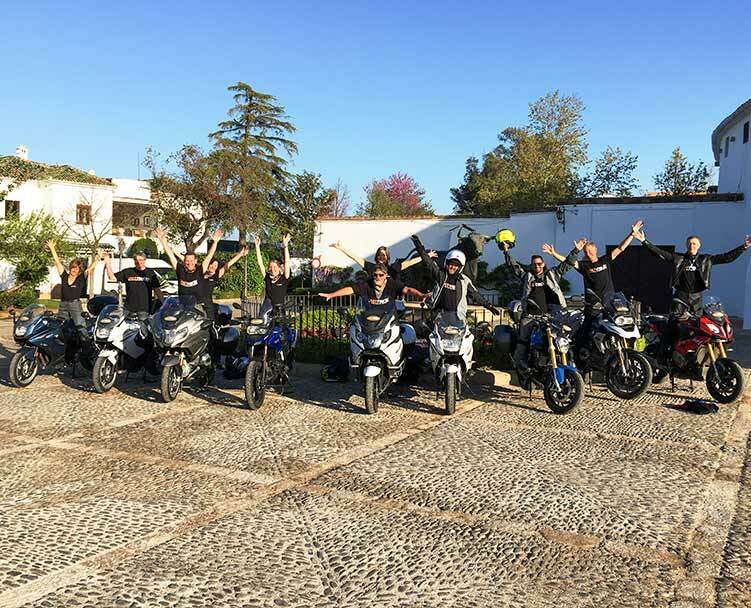 Riders of varying experience and skill levels received as much attention as needed to ensure a wonderful experience for all. 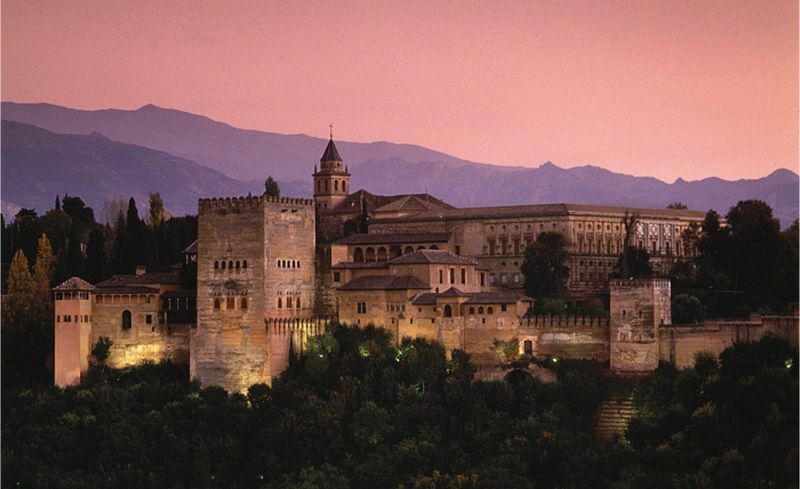 Andalucia was fantastic and I can’t wait to see other areas of beautiful Spain. Inexperienced riders as well as experienced riders will enjoy the daily rides. Highly recommend Scott, Martin and Slim for the excellent support, guidance and friendship they provided on the tour for all participants! 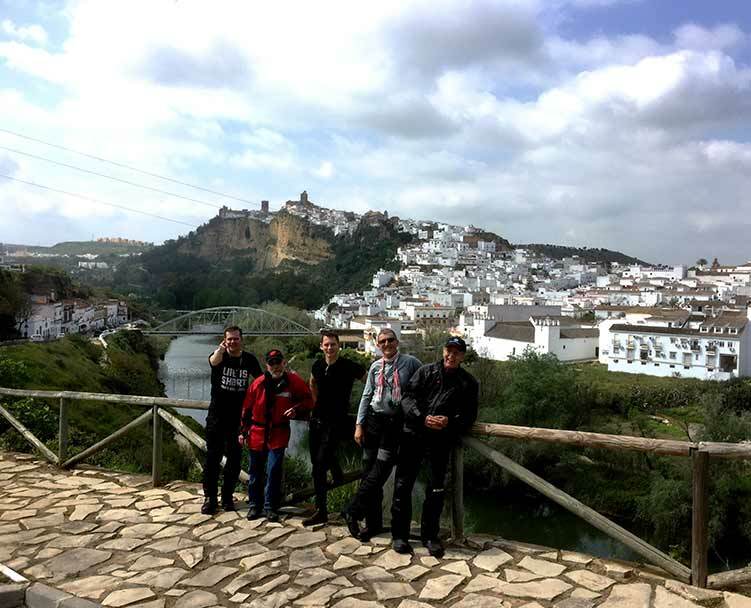 We just returned from a fantastic tour of Andalusia and want to thank Scott, Martin and Sergi (as well as the office support team) for providing us with the trip of a lifetime. 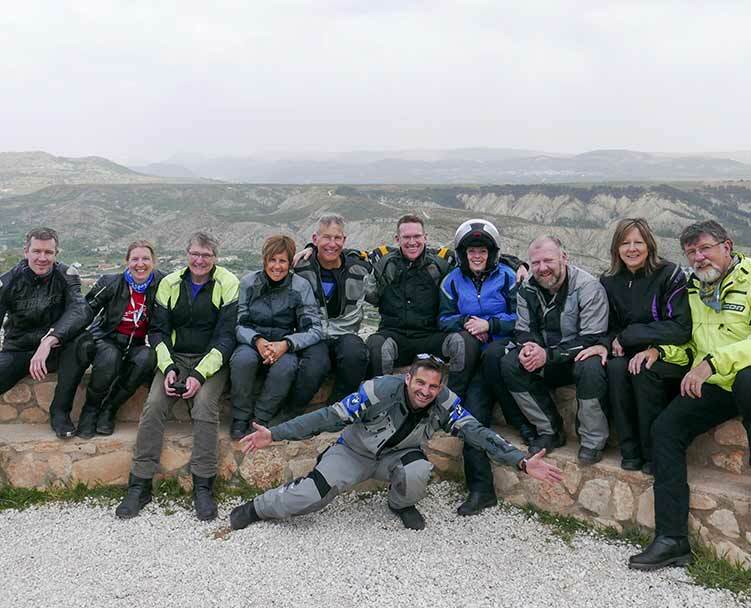 We’ve been on great motorcycle tours before - but this time we were overwhelmed by the scenery, the twisties and sweepers, the beautiful cities and villages, the great food and wine but most of all the people who planned our trip and the others who joined us as fellow riders. 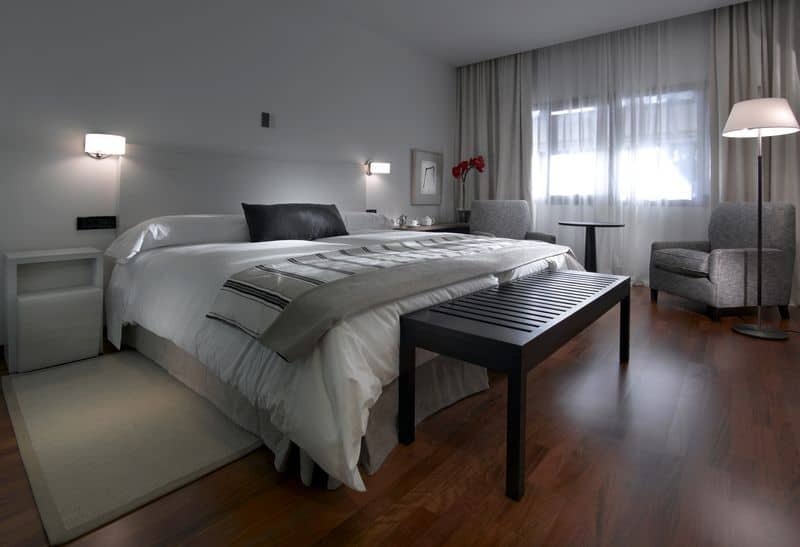 The itinerary was very well laid out with choice accommodation and wonderful restaurants that we would not have found on our own. We enjoyed having the opportunity to really get to know everyone on the tour and we enjoyed the different stories that were told along the way. Thanks also for the photos, gifts and your follow up emails. 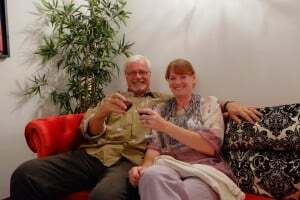 We have already shared our experiences with friends at home and hope to join them in another tour next year. 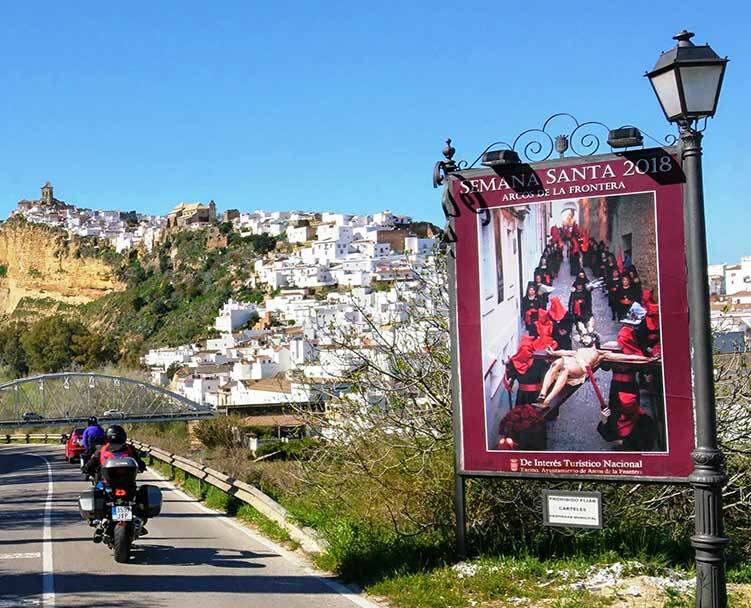 This was my sixth tour with IMTBike and third in Andalucia so I thought I knew exactly what I was in for but they still managed to exceed my expectations. Martin and Juan Pablo went well beyond the call of duty and even secured spectacular weather for us. 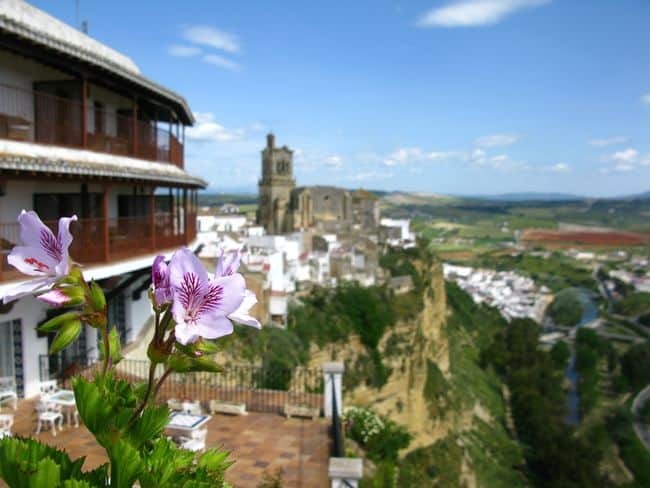 Touring Southern Spain is a magical experience and difficult to express in a few lines. So my advice is to grab your Visa Card and see for yourself. You won’t regret it. 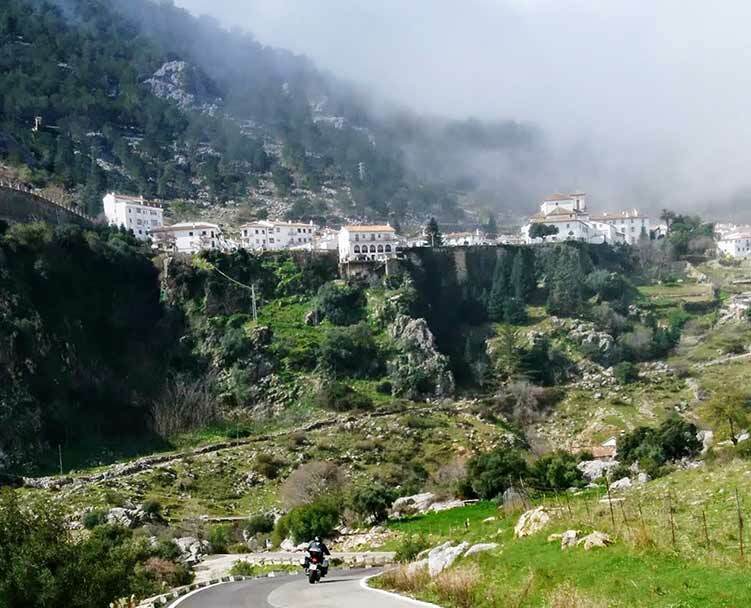 The IMTbike Andalucia Tour was phenomenal! Scott and Martin were our guides and were knowledgeable, accommodating, and all-around great guys. Sergi, our faithful van driver and sherpa, was a pleasure to have along. The bikes were in pristine condition and performed flawlessly (Beemers, of course). 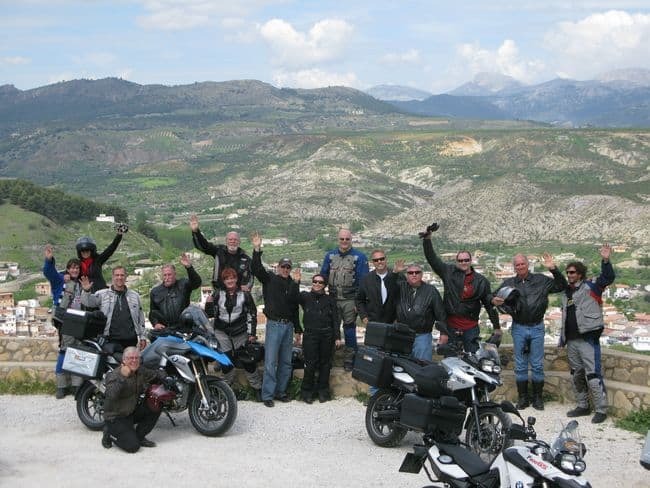 Our fellow riders have become our newest friends and made the trip even more enjoyable. 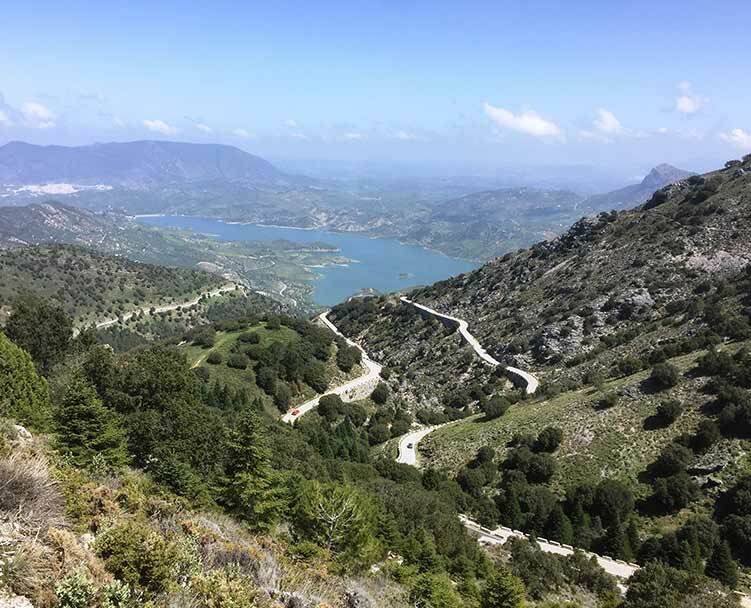 Then there was Spain...The scenery was magnificent, from the mountains to the shores of the Mediterranean. The roads and chosen routes were blissful. The hotels and meals were spectacular. Even the weather cooperated...barely a few sprinkles and only after we parked for the night! All in all this was a fantastic trip. I would go again in a flash! I would like to take this opportunity to thank you for a very well-run tour. From the introductions by your first rate guides: Martin and Javier I was made to feel welcome and secure on this adventure. The bike part of the tour was excellent with lots of variety and a pace to let you ride at your own speed. The part of the tour that blew me away was the cultural exposure. Staying in these beautiful hotels in the middle of the towns and having the time to explore was great. Martin And Javier were very helpful when questioned about the culture and landmarks. The third part of the tour was the food excellent. 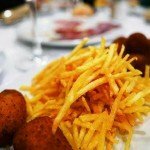 The food was all new to me so the help from Martin and Javier was invaluable in making this a very pleasant experience . 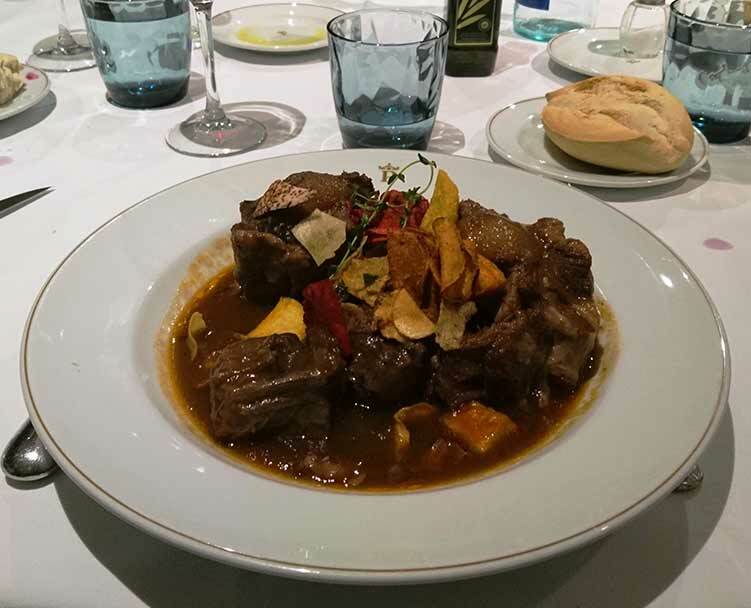 The suppers were a highlight; beautiful locations, excellent food and wine, and great company and because of Martin and Javier I feel like I got a little feel for the Spanish lifestyle. 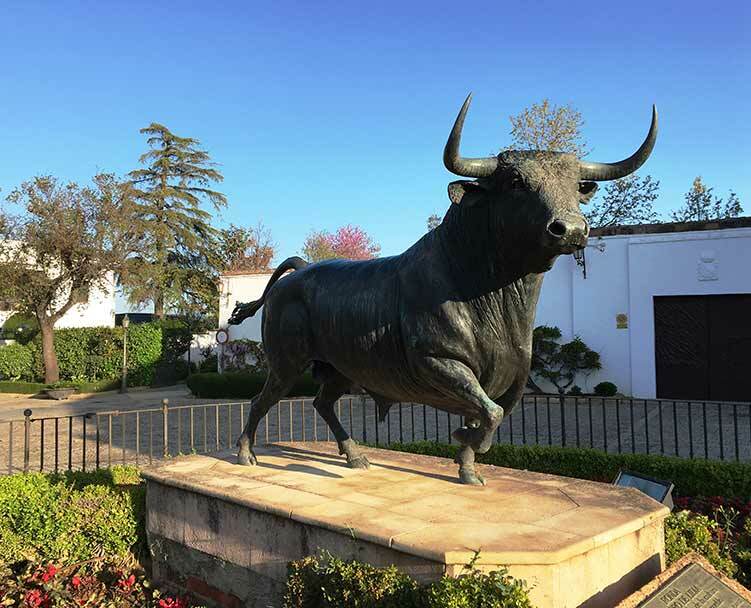 I just wanted to send a short note regarding our Andalucia Tour. Anyone who has travelled a lot knows that no trip is perfect. I wanted you to know that this trip was about as close as you can get. Thanks. I can’t say enough about Martin; he is just top notch in every respect and Ryan is a natural. The two worked well together and were fun to be around. I know you have little control over who is on the tour, but if you did, you couldn’t have picked a much better group. They were some really nice folks. Thanks again, and keep doing what you are doing - it works. 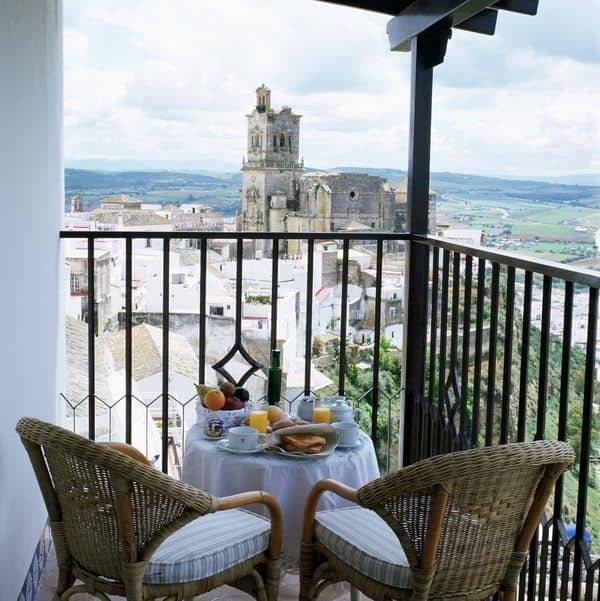 Andalucia tour - A Perfect Tour! I realize that whenever things get tweaked it can sometimes go south ,having said that you made it all work out great. It was special having Chano as our guide for the first part of the tour. That is not to take away from the great job that Sergi did for his portion of the tour, might also add that you have a real gem in Ryan ,for a youngster he is way beyond his years ,take care of that young man. we truly appreciate the wonder full gifts which will be worn and drunk with fond memories. 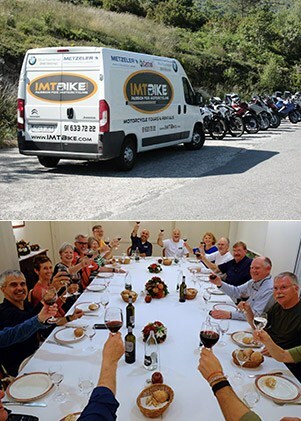 As always we would like to thank you and the staff at IMTBike for making for a memorable trip that we will cherish for years to come. 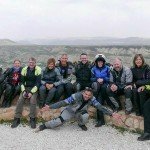 This was my first tour with IMTBike and what a fabulous experience! It was a small cosy group of 5 bikes. 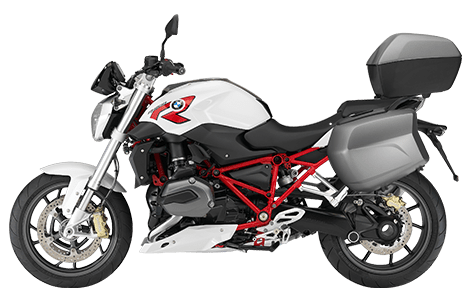 My bike was nearly new. 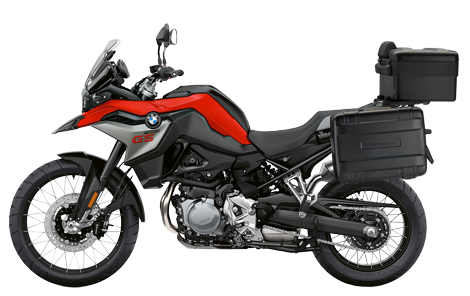 The routes were well thought out, the roads fun but challenging and showed the intimate local knowledge of IMTBike. Martin 222 our guide was absolutely magnificent. He was our navigator, guide, photographer, translator and in house entertainer! He single handedly made a good bike trip a very memorable one and a great holiday too. Thank you Martin. 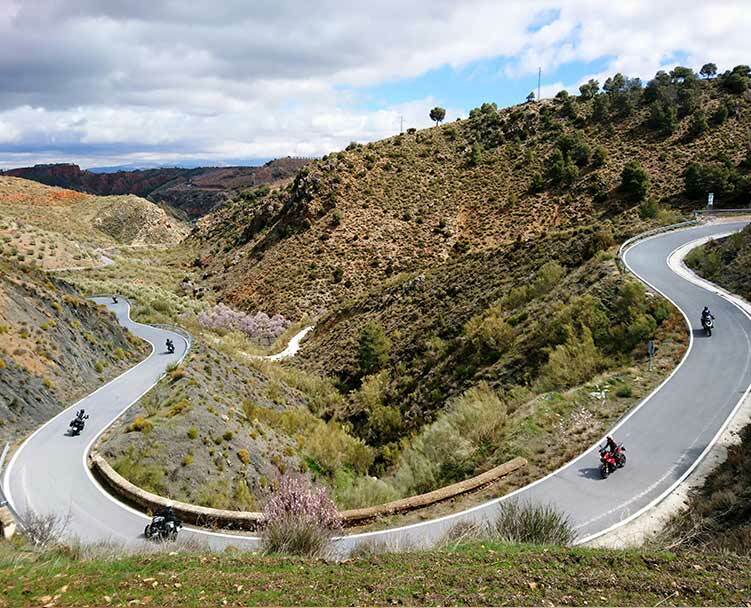 I was not aware Spain is such good biking country. I will be back. 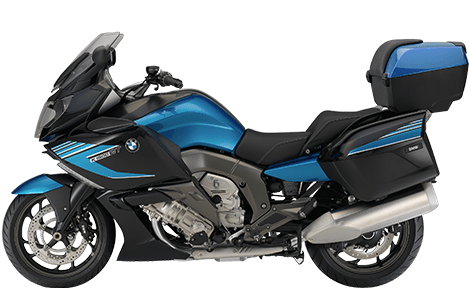 This was the second IMTBike tour my wife and I have taken and it was a very enjoyable experience. 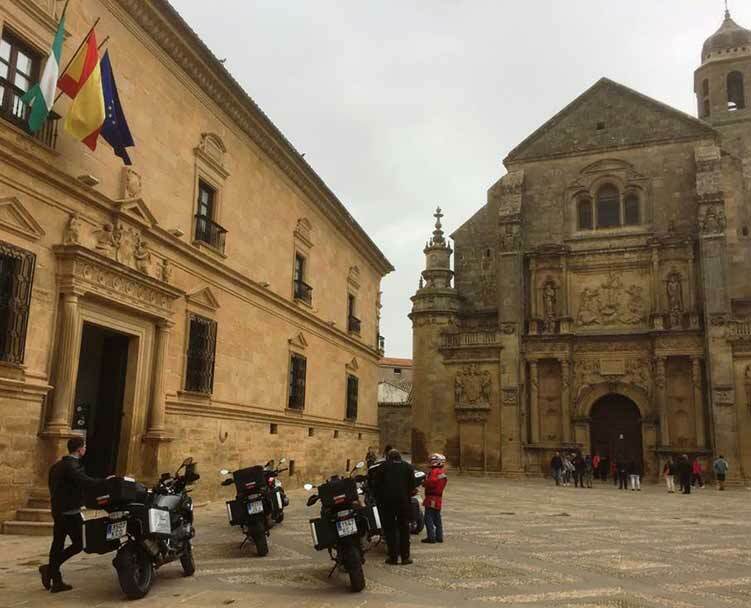 The Iberian Peninsula is IMTBike’s bailiwick and it shows in the professionalism and thoroughness they demonstrate in escorting their customers through the Spanish countryside. The lodgings (mostly Paradors) were first class as were the evening meals. 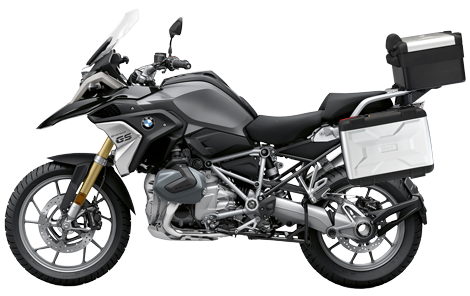 IMTBike renews their BMW fleet every year so the bikes were in excellent condition. 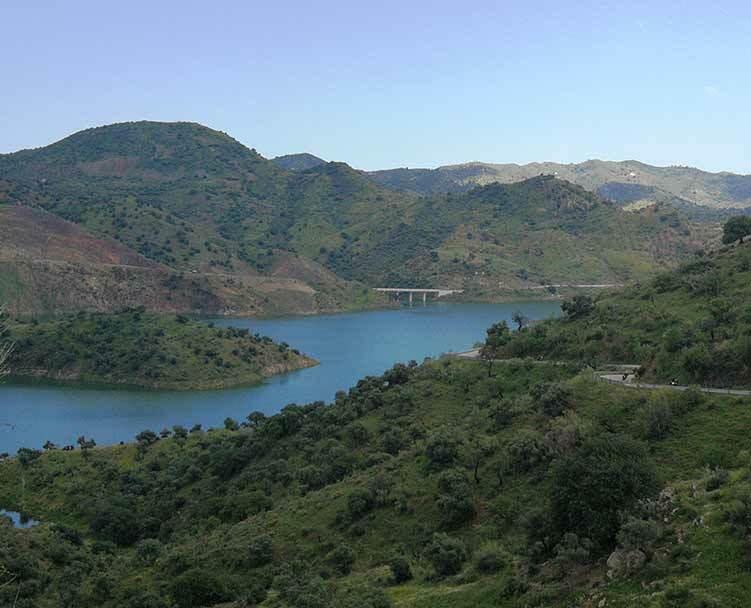 We are excited about riding in Africa on the Magical Morocco tour in the near future. Estamos muito orgulhosos da reputação que fomos ganhando como uma das empresas lideres em tours, e isso começa com os nossos guias. Transfer incluido do o Aeroporto para o hotel. 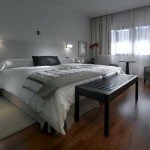 Você terá tempo para descansar e visitar a cidade até que nos encontremos de novo à noite para uma reunião de boas-vindas no hotel. 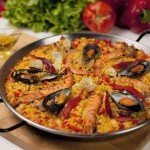 Após a reunião você irá jantar com os seus guias num restaurante tradicional Espanhol. 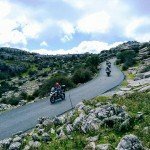 Os primeiros e últimos dias mencionados no itinerário correspondem aos primeiros e últimos dias do tour. Tenha em mente que, dependendo do país desde onde você voa, pode ter que sair um dia mais cedo, por favor reserve os seus voos tendo isto em conta. 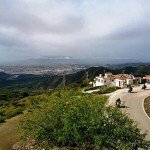 Você começará o dia deixando para trás a cidade de Málaga em busca das partes mais orientais da “Costa del Sol”. Irá abraçar a costa do Mar Mediterrâneo e desde assento da sua moto poderá ver as ondas a rolar na praia. As estradas sinuosas vão levá-lo-ão ao longo da costa e, de seguida, virarão bruscamente para o interior para começar a subir para as montanhas escarpadas. 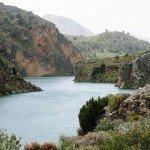 Você irá subir para as imponentes áreas de esqui da Sierra Nevada, passando na mais alta estrada pavimentada na Espanha. 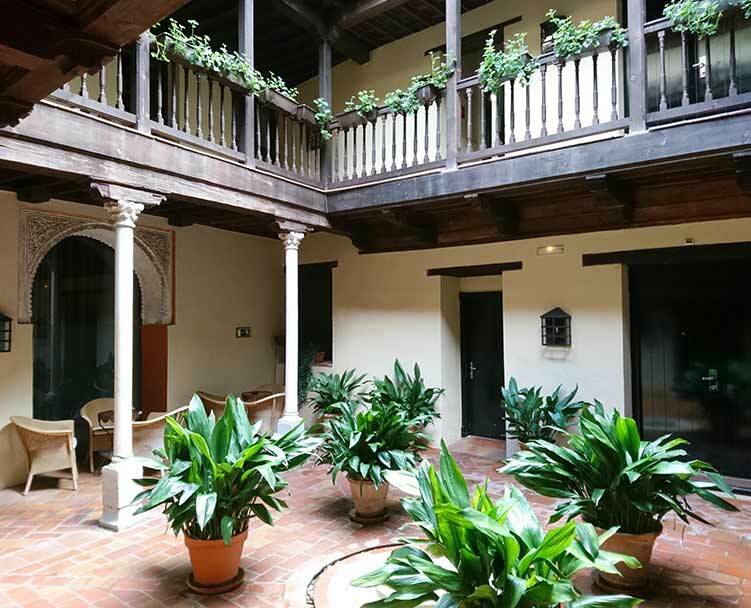 À sua espera estarão as ruas íngremes e estreitas de Granada, o seu centro histórico, o Albayzín e a beleza inigualável do Palácio de Alhambra. 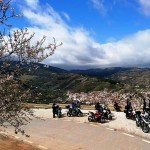 No terceiro dia deixaremos Granada percorrendo uma bonita estrada de montanha até ligarmos com um troço de auto-estrada que nos levará até à Serra de Baza. 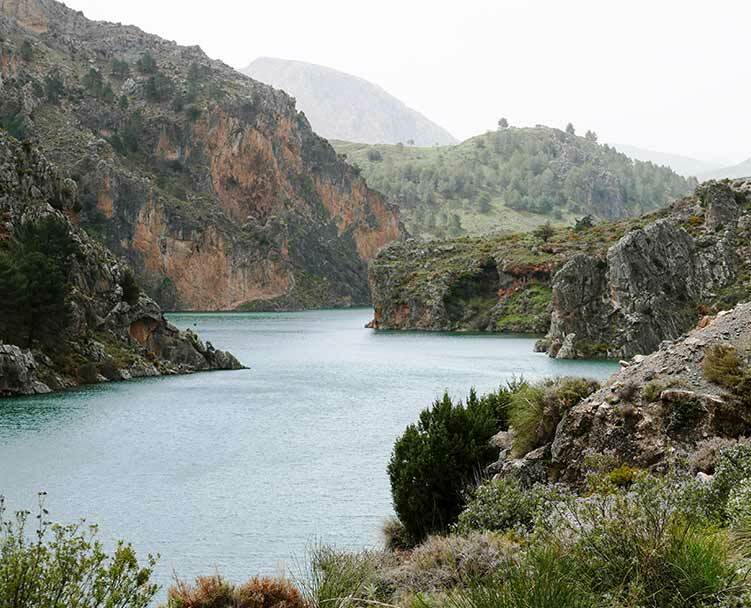 A viagem continuará ao longo de estradas amplas e suaves que rodeiam o Parque Natural de Cazorla, a maior reserva de fauna de Espanha, onde vai começar as primeiras grandes extensões de olivais até chegar a Córdoba. 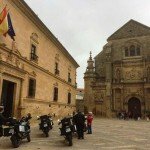 Em Córdoba poderá ver a sua famosa Mesquita e outros inumeráveis marcos arquitetónicos e históricos..
Hoje deixaremos Córdoba e aproveitaremos a nossa moto num dia de curvas harmoniosas, acompanhados do intenso aroma dos campos infinitos de oliveiras que se perdem no horizonte. Nesse ritmo suave e constante seguiremos ao longo das margens do rio Guadalquivir até Sevilha. 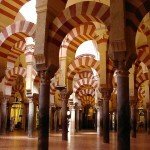 Hoje é um dia de descanso perfeito para descobrir a cidade de Sevilha e a sua impressionante catedral gótica, inúmeras pequenas igrejas, bairros interessantes cheio de ruas estreitas, música Flamenca, bares de tapas, etc. 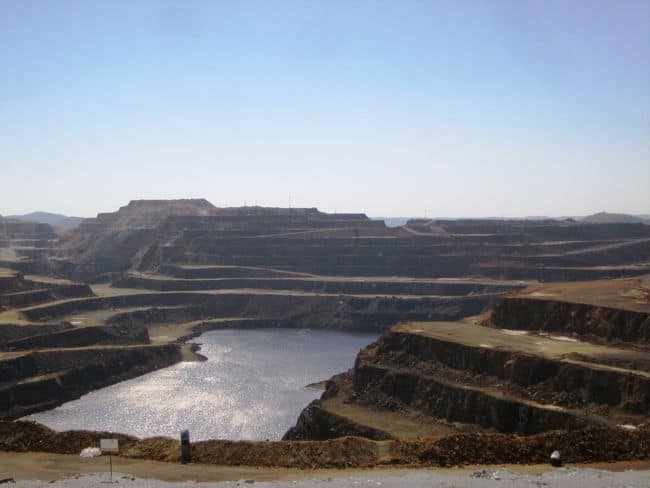 Você também terá a opção de conduzir na Serra Morena, onde poderá visitar as minas coloridas de Riotinto ou saborear o melhor presunto ibérico Espanhol, o “Jamón de Jabugo”. 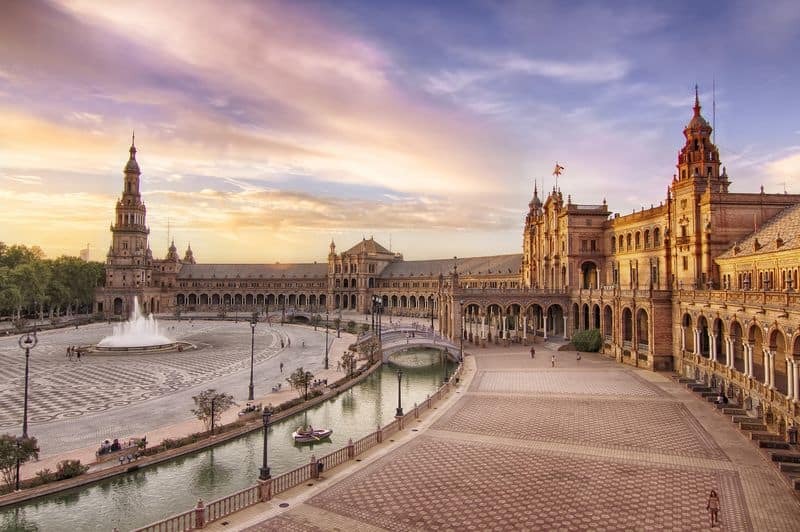 Hoje você vai dizer adeus à mágica capital andaluza e a toda a sua arte e beleza. 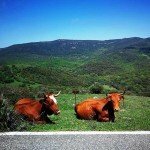 Iremos para o sul em estradas lisas através de agradáveis paisagens rurais e de grandes planícies. 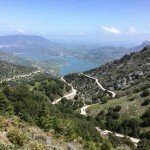 De seguida, subiremos um troço intenso e agradável das montanhas de Grazalema, atravessando as mais incríveis passagens de montanha de toda a cordilheira. 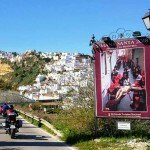 O dia chegará ao fim numa das mais belas aldeias brancas da Andaluzia, Arcos de la Frontera, localizada no topo de um penhasco impressionante e íngreme. Hoje é um dia cheio de curvas harmoniosas no meio da cordilheira montanhosa de Cádis. 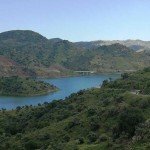 A incrível paisagem inclui florestas de sobreiros e touros selvagens. É aqui onde você vai passar por numerosas aldeias brancas que tornaram famosa esta região. 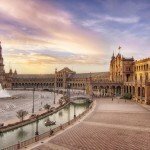 Você irá descansar durante a noite em Ronda, uma das cidades mais memoráveis de toda a Espanha. Onde poderá espreitar por cima do penhasco 120 metros a partir da "Ponte Nova" (com mais de 300 anos de idade! 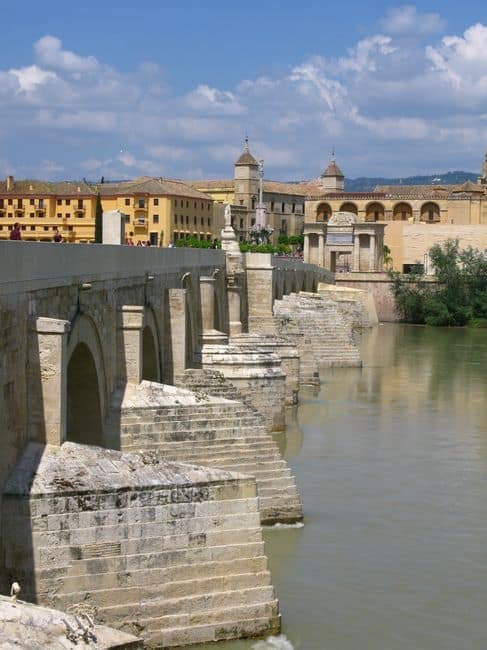 ), Ou ver a Ponte Romana que permanece intacta depois de vários milhares de anos. 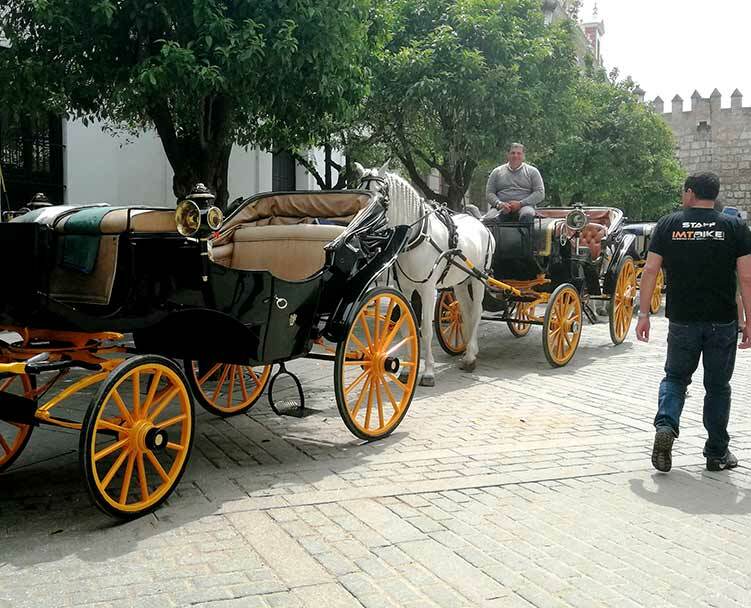 Também se poderá perder entre as pequenas ruas movimentadas ou visitar a mais antiga praça de touros de Espanha. Partindo Ronda você irá direto para o coração das montanhas, serpenteando ao longo das estradas desertas e passando por paisagens magníficas. 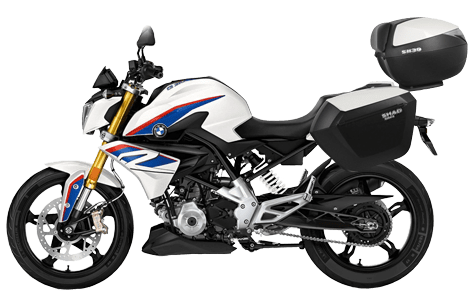 Montanhas e mais montanhas, cidade após cidade até retornar para ao escritório IMTBike, onde você irá dizer adeus à sua moto fiel. 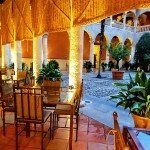 Então terá tempo para descansar no hotel ou visitar mais uma vez a cidade de Málaga e fazer algumas compras de última hora. 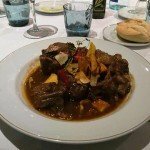 Os guias levá-lo-ão para um excelente restaurante onde você vai desfrutar de um jantar de despedida e poderemos dizer "Hasta pronto!" "Até a próxima!" Hoje é o momento de ir até ao aeroporto e embarcar no seu voo até casa. 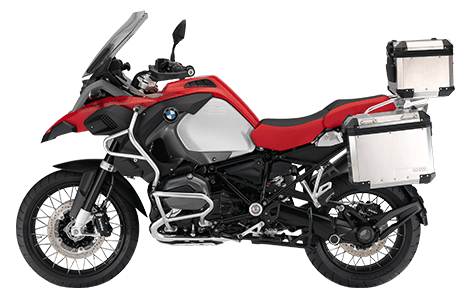 Vemo-nos na sua próxima aventura em moto! 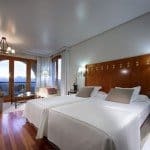 Alojamento em Hotéis de 4 e 5 estrelas e Pousadas/Paradores (castelos e palácios convertidos em alojamentos boutique “motorcycle friendly”). Manual do Tour (normalmente cerca de 70 páginas muito detalhadas) e mapa comentado. 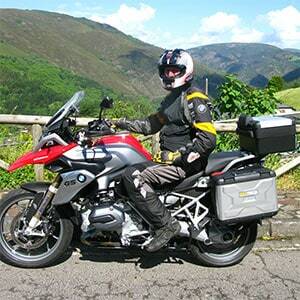 Experiente guia multilingue em moto. 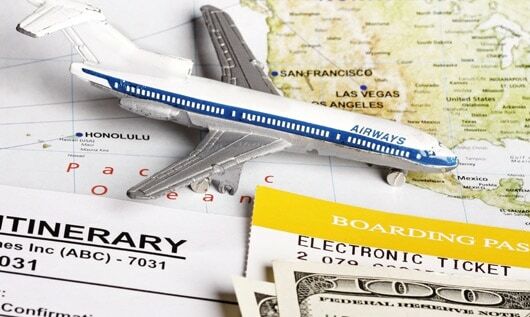 Guia multilingue num veículo de apoio que carregará toda a sua bagagem, quaisquer compras de grande volume que fizer, ou mesmo um ou dois passageiros. Inscreva-se para receber o catálogo completo com datas, preços e toda a programação! 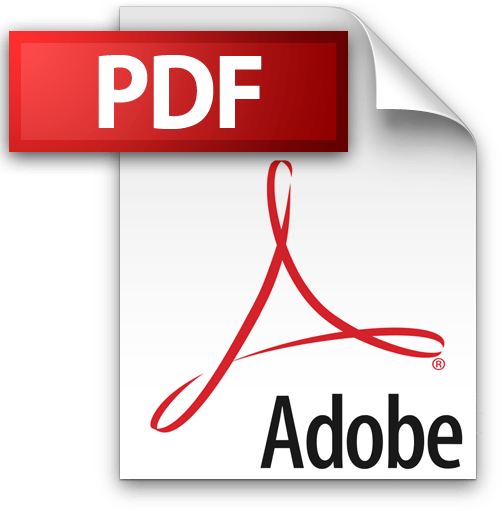 Utilizamos "cookies" próprias e de terceiros para elaborar informação estatística e mostrar-lhe publicidade personalizada através da análise da sua navegação. Se continuar a navegar, aceita o seu uso.